Read before you swipe (or wait, dip?). As the name suggests, this is a luxury travel credit card intended for those who, well, like to travel luxuriously. Let’s see if it lives up to its name. As with all my reviews, I usually open by talking about the sign-up bonus. Unfortunately, this new card from Barclays does not feature one. We’re off to a bad start here. That’s right – there’s a $0 sign-up bonus associated with this new credit card, which will certainly turn off a large swath of the population. 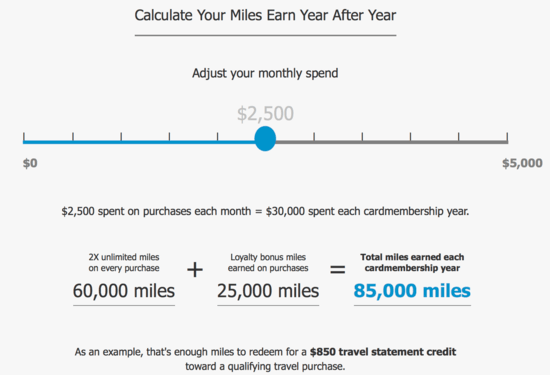 Anyway, if you spend $25,000 per year, which is only about $2,100 per month, you’ll earn 25,000 bonus loyalty miles. Broken down, you get 15,000 bonus miles if you muster $15,000 in annual spend, and an additional 10,000 miles for $10,000 more in annual spend. So your bonus with this card only comes after a year of consistent spending, but it appears to be ongoing year after year. That’s the tiny silver lining. Aside from the reverse bonus, you also get two miles for every dollar spent using the Barclays Arrival Premier MasterCard. Let’s say you spend $2,500 a month in the first year. That amounts to $30,000 in annual spend, or 60,000 miles. You would also earn the 25,000 bonus miles, for a grand total of 85,000 miles in year one. You could then redeem those miles for an $850 travel credit, assuming you paid for some qualifying travel with the card. If you choose to redeem for a cash back statement or gift cards, the redemption value gets cut in half. So you’ll need 5,000 miles for $25 in value. Clearly travel redemption is the way to go, but there might be an even better use of the miles. One exciting feature on this new credit card is the ability to transfer miles to leading frequent flyer programs, similar to Chase Sapphire Reserve and Amex Platinum. The list isn’t all that extensive, but it does give you another option to use your miles outside the normal redemption choices. The downside is that the miles don’t transfer at a 1:1 ratio. Instead, Barclays miles transfer at a 1.4:1 ratio, which makes sense since you earn them at a 2X clip unlike Amex Membership Rewards and Chase Ultimate Rewards. And Japan Airlines is a much worse 1.7:1 ratio. Anyway, using our 85,000 points from the example above, you’d wind up with just over 60,000 miles if you transferred them to the airlines above. 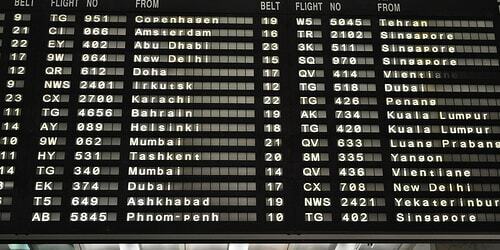 For JAL, you’d only get 50,000. Whether that would be good enough for a quality redemption is questionable. What Else Does Barclays Arrival Premier Offer? As you might expect on a premium travel rewards credit card, they waive the foreign transaction fees, which is nice but expected. Additionally, you get the typical $100 credit for Global Entry every five years if you don’t already have it. It’s handy to use for someone else that might need it. Then there’s membership to Lounge Key, which is inferior to Priority Pass but similar. The difference is as a member you still have to “pay as you go.” Each lounge visit will set you back $27 per person. Finally, you can earn bonus miles if you participate on the Barclays Travel Community website. Is Barclays Arrival Premier Good or Bad? In summary, it doesn’t seem like a big winner to me, and it’s certainly not as lucrative as the old Arrival Plus card was. The first problem is the $150 annual fee, which isn’t waived the first year. The second problem is the lack of a sign-up bonus. The third problem is the fact that you need to spend all year to get any sort of bonus, and the bonus isn’t all that great assuming you do muster the minimum spend. I don’t like the way Barclays is going with this reverse bonus seeing that all credit card issuers offer initial spending bonuses, not annual ones, especially when they’re charging an annual fee. The Lounge Key program is also kind of nonsense seeing that they’re charging you to use the lounge. It’s barely a perk, especially since you’re paying an annual fee for this card. I can’t imagine this credit card being very popular, and it’s certainly not putting the new stateside Barclays brand’s best foot forward. I like to take advantage of everything credit cards have to offer, while also helping people use them more responsibly. Learn more. 5% cash back (on up to $1,500 in combined purchases) at grocery stores and home improvement stores. 5% cash back (up to $300 cash back per calendar year) at drugstores and fitness clubs. Discover it cash back calendar: 5% cash back (on up to $1,500 in purchases) on Uber/Lyft and at gas stations. Barclaycard Arrival Plus: 70,000 bonus miles after you spend $5,000 on purchases in the first 90 days. Chase Ink Preferred: 80,000 bonus points when you spend $5,000 during the first 3 months from account opening. Amex Platinum: 100,000 bonus points when you spend $5,000 during the first 3 months from account opening. Chase Slate No Fee Balance Transfer: 0% APR for 15 months on balance transfers with no fee. Amex Premier Rewards Gold Card: 50,000 Membership Rewards points after making $1,000 in purchases within 3 months of account opening. Southwest Rapid Rewards Priority Credit Card: 65,000 Rapid Rewards points after making $15,000 in purchases within first year of account opening. Citi ThankYou Premier Card: 60,000 ThankYou Points after making $4,000 in purchases within 3 months of account opening. Are Credit Card Payments Tax Deductible? Are Credit Cards with Annual Fees Worth It? Can You Change Your Credit Card Due Date? Debit or Credit? Which Should You Use? Do You Need a Credit Card to Build Credit History? How Are Credit Card Payments Applied to Balances? Introductory APR: Why Do Credit Card Issuers Offer It? Should You Pay Off Your Credit Card In Full? What Are the Best Credit Cards to Use Abroad? What Credit Card Approves Everyone? What Credit Card Limit Can I Get? What Credit Cards Do the Big Box Stores Accept? What Do the Numbers on Your Credit Card Mean? What Happens When You Miss a Credit Card Payment? What Is Credit Card Churning? What Is the Best Credit Card Available?